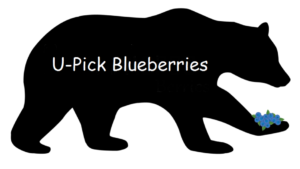 We are a family owned U-Pick Blueberry farm with sweeping views of the mountains and we have six different varieties of no spray highbush blueberries available for pick your own or already picked for purchase. We are open every day from 9am to 5pm during blueberry season and are located just off of I-93 in New Hampton, NH just south of the White Mountains. We provide picking buckets but ask that you bring something to put the berries into to bring home. New this year…we are going “Green” and have reusable berry boxes available for $1 each. U-pick blueberries are $5 a quart. Keep checking the website or our Facebook page for updates.